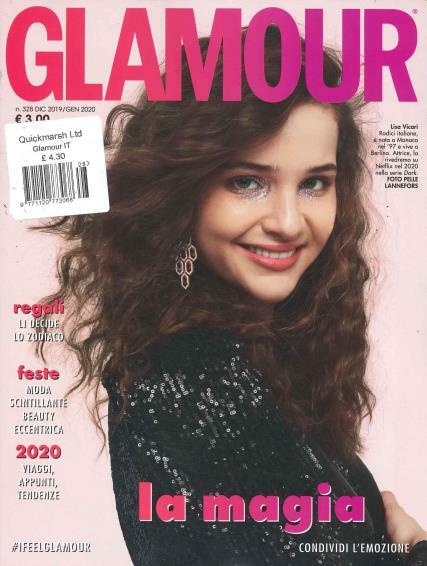 This Italian version of Glamour magazine for the 20 something female is bursting with ideas on beauty, make-up, fashion, hair and celebrity interviews. Buy a single copy or subscription to Glamour Italian magazine. This Italian edition of Glamour magazine, the classic glossy women’s mag for 20-somethings, is bursting with ideas on fashion, makeup, men (the initial snaring and subsequent keeping of), hair and beauty, and celebrity articles and interviews. This magazine is guaranteed to reveal the glamour in your life, and get you feeling good about yourself. With style dos and don’ts, Glamour magazine can teach you to look like your favourite celebs, or just look your best.. It's Fantastico fashion friendly and wonderful images and articles.